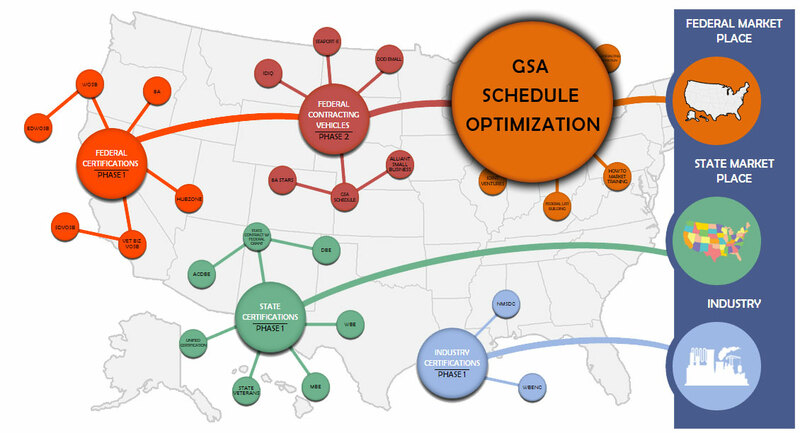 Your firm has completed the hard work of getting your products on GSA Advantage. Now it’s time to gain an advantage over your competition in the federal market place by getting your products search optimized, so they are on one of the first pages of GSA Advantage. In most cases, we are able to optimize your product to the first page, or even the first listing, on GSA Advantage. We do this by assessing what search terms a government buyer is most likely to use when buying your product, and tailoring the listings and descriptions to utilize those key words or phrases. The result is federal buyers are able to find your product early in their search, which generally ends their selection process. Our clients report a 15-40% increase in sales due to this optimization. In short, through our optimization process we get 90% of our client’s products to page one, even though the average product has more than ten pages of results. *GSA Advantage is a registered trademark of the U.S. General Services Administration and the Federal Government.